Before you say anything, let me tell you that this is strictly my choice and you are free to make your own list too! 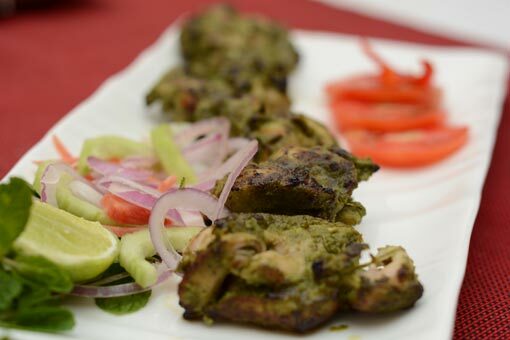 Foodies of Kolkata from days of yore have been going gaga over the enormously popular kebabs at The Astor Hotel’s legendary multi-cuisine family restaurant, Kebab-e-Que. There is a huge selection of vegetarian and non-vegetarian kebabs and the recipes are many generations old giving them a soulful taste that few others can be proud of! Let’s take a look at what makes me want to go back to KEQ again and again! 1. Cheesy Murgh Khasnama Tangdi: The ultimate pleasure trip for the non-vegetarian loyalist! Get your gingers around chicken drumsticks marinated with aromatic spices from Mughal era oozing with a fat layer of cheese and you will never forget your first bite! Thank me later! This is a complete meal in itself. 2. Mutton Seekh Kebab: I have always wondered about chef’s special spices, which is apparently what makes this dish extra delicious! I would suggest don’t waste time trying to figure out the details but just dig into your platter and wipe it all off! Try this with a glass of your favourite scotch. 3. Amritsari Machli: Trust me, I am not biased! I have not put this into the list because I am from Amritsar! I have put this on the list because the juicy and red Amritsari Machli will melt in your mouth – it is love at first bite! This goes very well a glass of wine! 4. Zafrani Dahi Kebab: I am always up for ordering this. No matter what non-vegetarian kebab I want to eat, the Zafrani Dahi Kebab is a must for me. Soft and filling, made with hung curd with a saffron dominance, the kebab menu at The Astor Hotel will be incomplete without this remarkable item. Remember to order a beer too! 5. Firdaus-e-Numa: This Kebab-e-Que speciality is as good to taste as the name sounds! This is the classic barrel potato filled with dry fruits and nuts cooked in red marinade and char grilled and has a unique flavour to it. This one always lifts up my mood and well, who can ever say no to potato? Previous Post:While You Sip, Let Time Slip! Next Post:Weekend Getaway at The Astor!